In what represents a continued shift towards cloud and software-defined networking (SDN) models, Dell’s networking division today announced a host of new solutions, including updated in-rack platforms for the data centre and new cloud-managed wired and wireless solutions powered by Dell and Sunnyvale, Calif-based mobility & cloud networking solutions provider Aerohive Networks. Dell Networking is working with Aerohive to deliver a cloud-managed solution that integrates and manages wired and wireless infrastructure; the new co-branded solution incorporates Dell N-Series switches and Aerohive access points into Aerohive’s cloud-based management solution HiveManager NG, according to the company. In general, the SDN model aims to avoid over-provisioning in the data centre — and improve automation and management in the process — by using software controls to help scale as required. “This integration in HiveManager NG not only gives customers the ability to monitor, but also to configure and push zero-touch deployments from the cloud. This is the most unified wired and wireless cloud management integration that I have seen,” said Zeus Kerravala, principal analyst, ZK Research in a prepared statement. 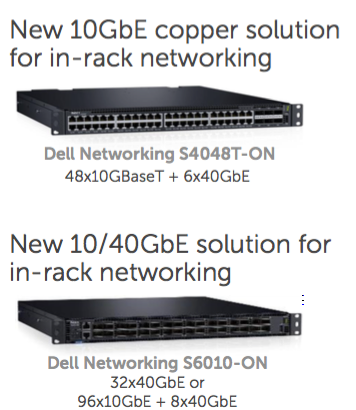 Dell also announced new in-rack systems for the mid-sized and enterprise data centre — the Dell Networking S4048T-ON and Dell Networking S6010-ON — products designed to accelerate server and storage migration to 10G connectivity, the company said. The Dell Networking S4048T is purpose-built 10GBase-T switch for copper-based server, and storage, and supports supports numerous, high-capacity port configurations in a 1RU form factor; the S6010-ON features line-rate performance with a non-blocking switching fabric, improved packet buffering and reduced oversubscription. Both switch products, shipping in May, are ONIE-compliant to provide cloud and Web 2.0 customers an Open Networking environment with fully- tested and validated third-party operating systems, and include features for Virtual Extensible LAN (VXLAN), larger tables and expanded buffering. Dell says its overarching vision for cloud-managed IT involves streamlined operations, configuration, monitoring and troubleshooting for enterprise-class networks. The HiveManager NG product enables “high-level or in-depth views of all facets of Dell and Aerohive networking devices including applications, users, policy management and switch port status,” the company said. The wired and wireless network convergence platform — geared for “campus and data centre environments” — aims to simplify end-user access by bringing enterprise-class management to the public or private cloud, Jeff Behar, senior director, product/solutions/technical marketing at Dell told ITWorldCanada.com. At press time, Canadian pricing was not announced. 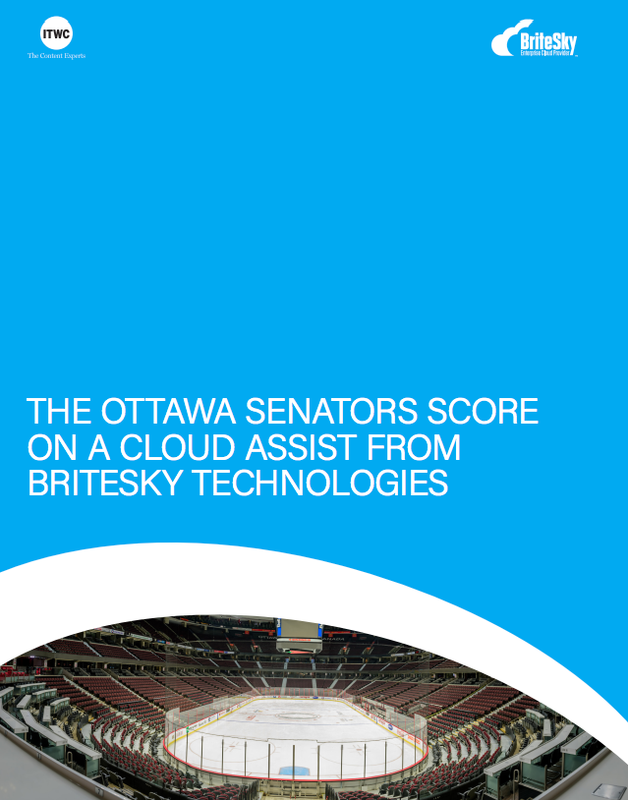 Q&A: What are the cloud computing challenges around data sovereignty in Canada?